What Does a Sanitary and Safe Dental Practice Look Like? | Smile Logic, Inc.
What Does a Sanitary and Safe Dental Practice Look Like? Recently the Oklahoma Board of Dentistry conducted an investigation of a dentist’s office which revealed that 7000 patients had been exposed to HIV, hepatitis B and hepatitis C over the past six years. Although it is an isolated event, it reminded me of a similar case in Florida in the early 1990’s, as well as a recent case, here in Colorado. I thought it might be helpful to you to know what a sanitary and safe dental practice looks like. Here is a list of 10 checkpoints. Does the dental team inform you of their procedures around prevention of infection? How clean is the entire office? A practice of being clean extends from the nearest counter to the farthest corners. What do you observe? If you ask to see the sterilization area, do they show it to you? Is it clean, uncluttered, neat? 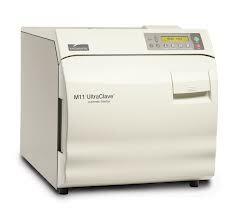 Ask about their sterilization practices – how do they test and monitor their sterilizers? It should be at least weekly. What visible signs of infection prevention do you see? For example, are the instruments individually packaged? Does the dental team use personal protective equipment for you and for them? Does the dental team wash their hands? Is the office’s employee safety training up to date, including updated OSHA-required infection/exposure control plans? Are there infection prevention procedures, for example protocols for cleaning and disinfecting treatment rooms, and instrument cleaning and sterilization. Does the office cleaning crew use appropriate products for cleaning and disinfection. SmileLogic is among the vast majority of dental practices that offer patients a safe and sanitary environment. We are happy to discuss this and any other questions you many have about our general practice procedures at any time. – Thanks to Mary Govoni of Productive Dentist Academy for ideas for this article.